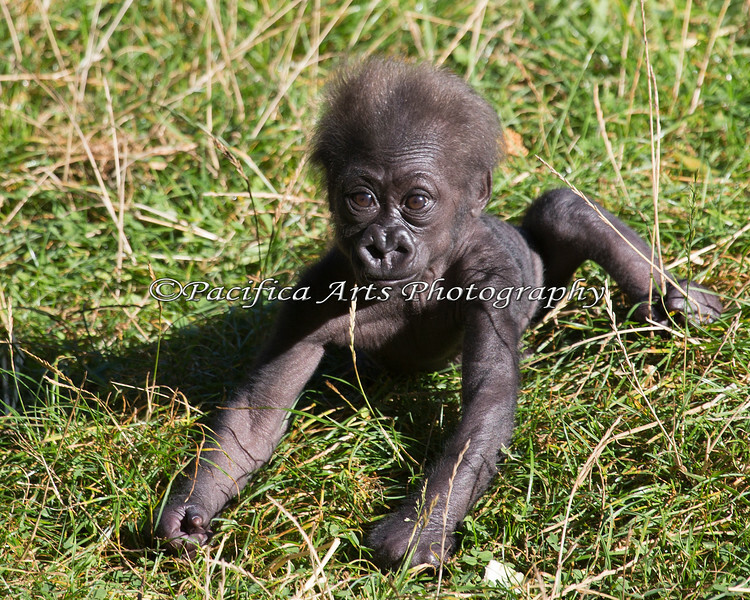 Here, at last, is the latest addition to the Gorilla family group: a little female born on July 17, 2013. She's a couple months old here, and is doing very well. Nneka is her Mom, and Oscar Jonesy is her dad.